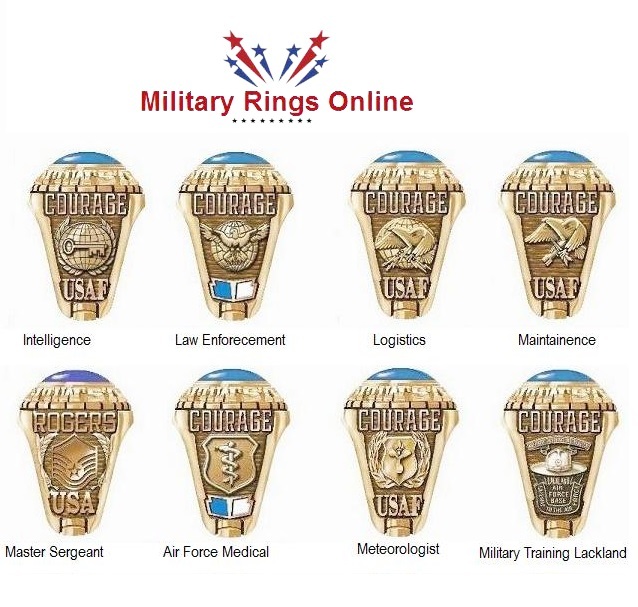 Air Force Rings custom made to represent the traditions and commitment of serving in the United States Air Force. for active and retired men and women. 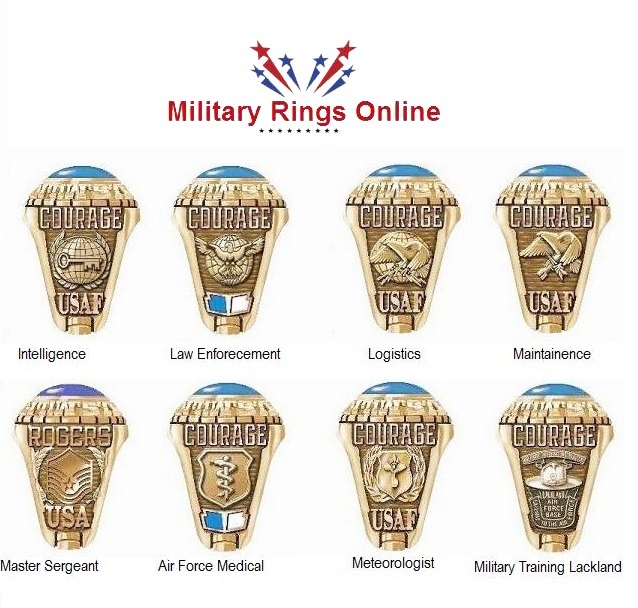 The rings commemorate achievements, milestones and retirements of active and retired men and women. 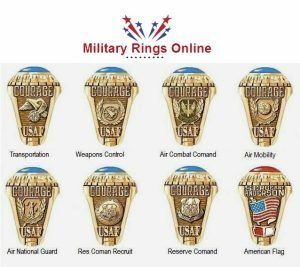 The emblems representing the wings, groups and squadrons can be cast on the sides of the rings and personalized with text. 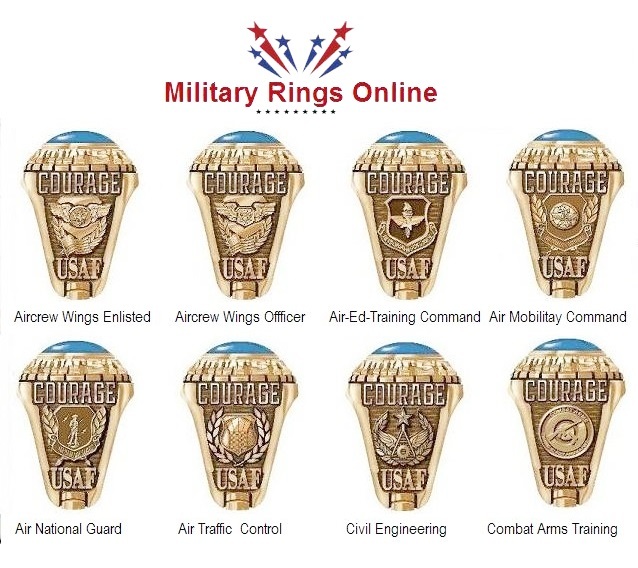 Air Force Wings are commanded by a Colonel and consists of several squadrons. The Air Force is made up of 120 Wings. The three major ones are the Air Base Wing, the Operational Wing and the Special Mission Wing. 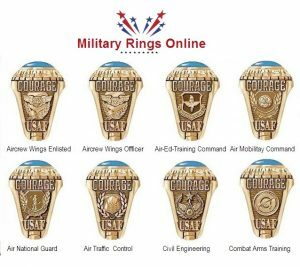 Air Force Groups are made up of many squadrons and also under the command of a Colonel. The two major groups are the Dependent Group and the Independent. There are approximately 17 Independent Groups and nine of those are flying. Air Force Squadrons are made up of several flights and would be considered the basic unit in the United States Air Force. Usually a squadron is under the command of a Lieutenant Colonel or a Captain. 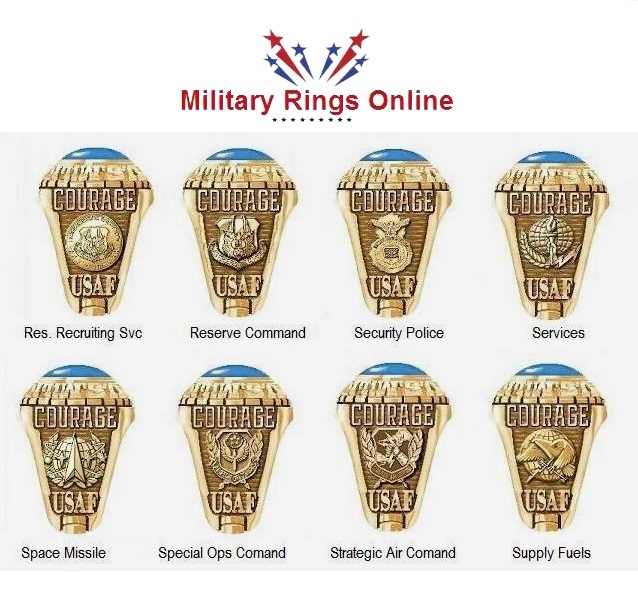 So if your serve in any particular unit we have Air Force Rings to represent your service. 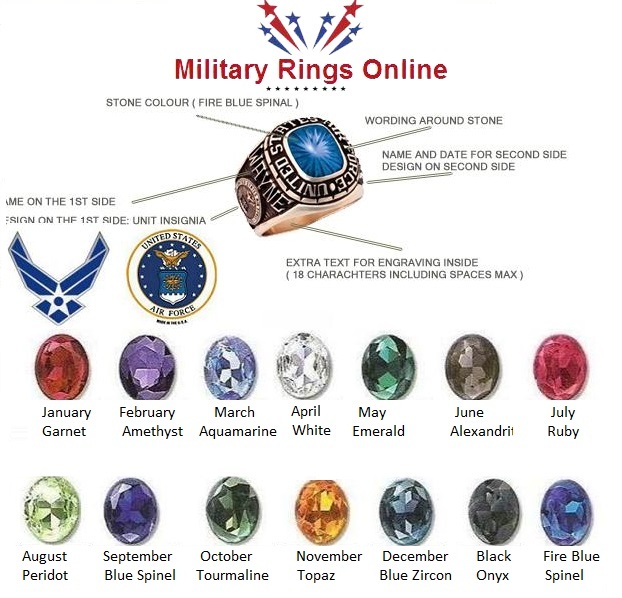 The most popular rings is the military air force class ring. 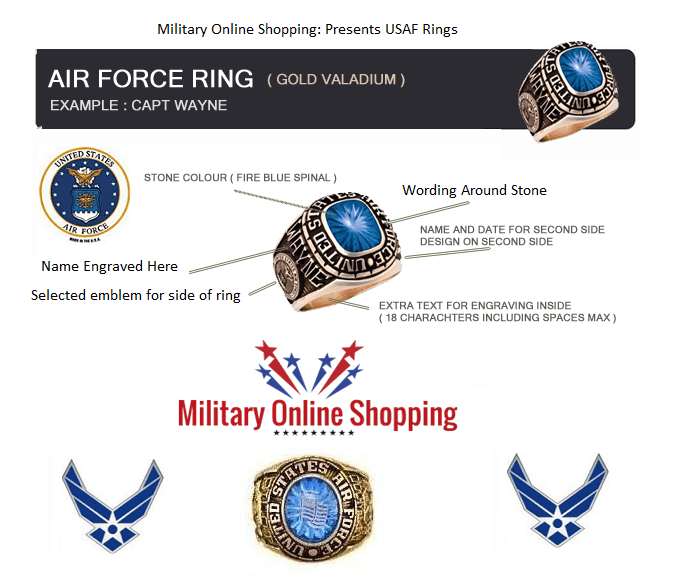 The ring has a stone set in the top and the Air Force logo can be lasered into the stone. 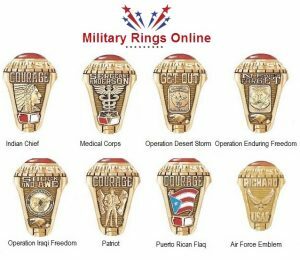 There are approximately eight locations on a ring that can be personalized. 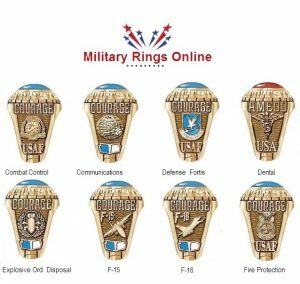 On the sides of the ring text can be engraved and emblems like the American Flag or the Air Combat Command can be proudly displayed. 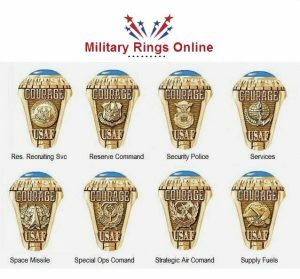 There are three metals that are used in the creation of Air Force Rings. These are Silver, Gold and a jeweler’s metal referred to as Celestrium. The silver used is premium silver and will be stamped to show this. The gold can be yellow or white gold and will also be stamped. Celestrium is extremely durable something like titanium, it will not damage easily. 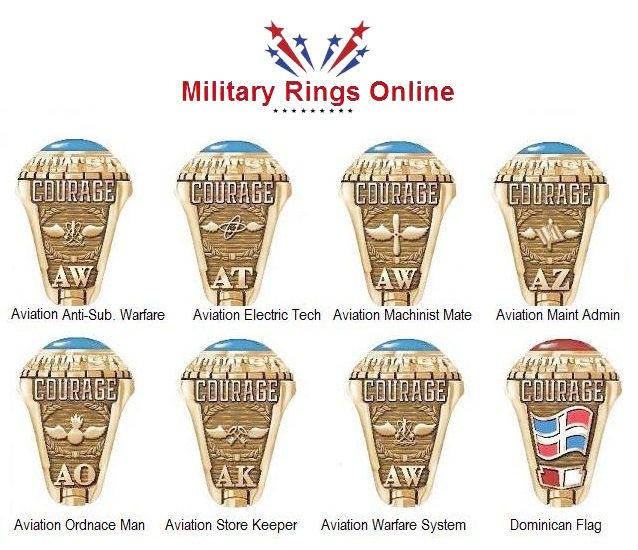 When it comes to celebrate an airman’s retirement or promotion the preference is the Gold Rings. As gold rings are expensive, colleagues often club together to purchase one of these rings. The Gold options available are 10K White Gold and 10K Yellow Gold. 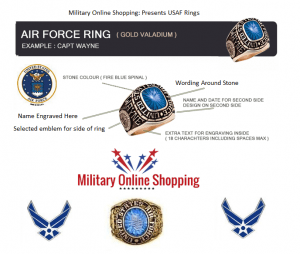 14K Gold is also an option for those who want to created an Air Force heirloom. The best rings are the ones with a solid back. 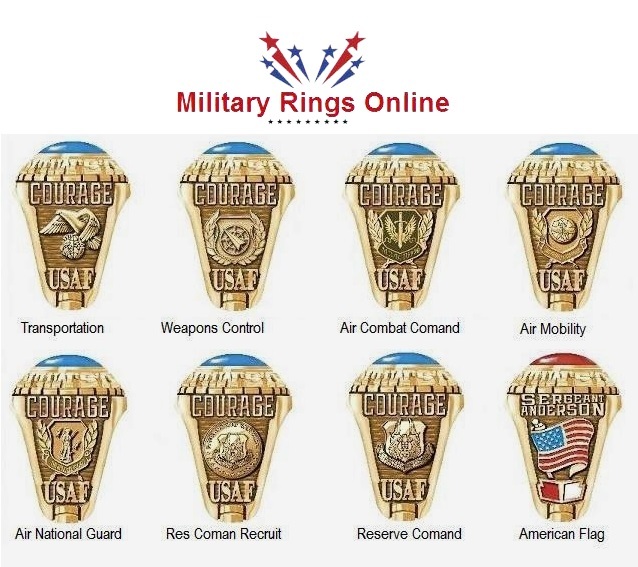 Because of the quantity of metal used in the creation of the ring, it will last a lifetime. That is one of the reasons the company gives a lifetime warranty. 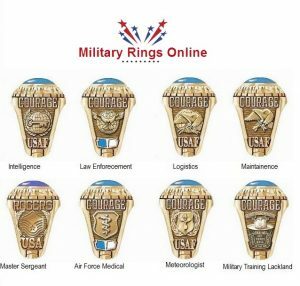 For the very expensive rings we suggest that you have them covered under your insurance in case they are lost or stolen. 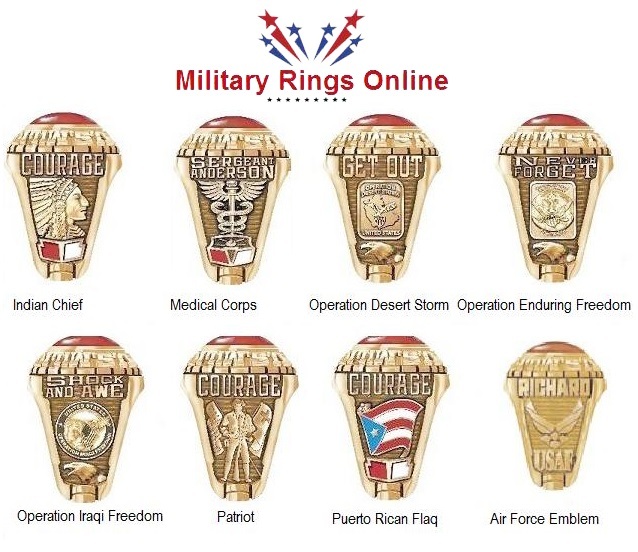 These unique custom made rings will honor the men and women who serve with honor and distinction. They will be become a constant reminder of the commitment and friendships, made in the world’s most skilled Air Force.